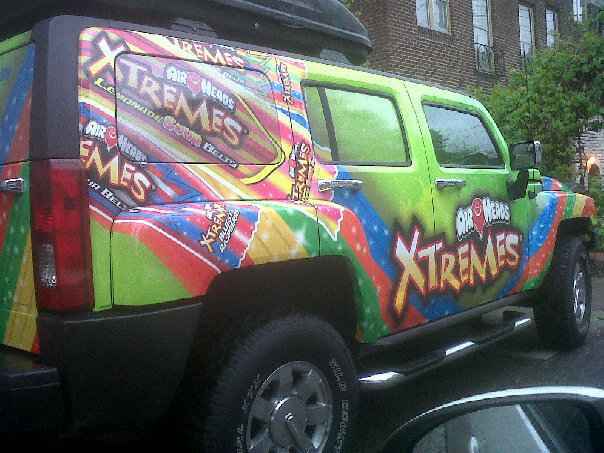 and let the stories begin…i am embarking on a new job being a field event manager for a 3 month tour promoting airheads EXTREMES…that’s right, i will be driving around this branded hummer to music festivals, soccer tournaments, and random consumer events getting this tasty candy into the hands of many kids…. and who are we kidding, adults! what is your most extreme talent? i am about to find out what this country has to offer and document it, so if you have the need to be extreme, come meet up with me! to my msp people…i will miss you greatly while i am away, but know that i am always there in spirit! Have so much fun Na! Xxoo!